The Pro 3 dry herb cartridge is out of stock. Why not upgrade to the Pro Series 7 for a superior dry herb experience? The Pro 7 kit includes both a dry herb and an e-liquid cartridge. 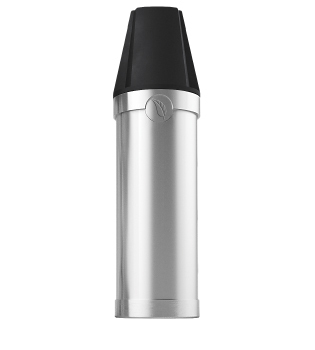 Lift out the magnetic E-Liquid Cartridge and drop in the Loose Leaf / Dry Herb Cartridge. 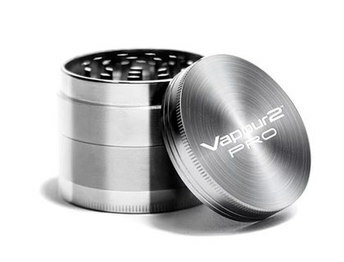 The V2 PRO Series 3 Dry Herb Cartridge was developed using our electronic cigarette technology after extensive research. The dry herb cartridge for The Series 3 utilises conduction heating to warm loose leaf to the optimum vaporizing temperature to give you a fantastic vaping experience. The cartridge capacity is about 385 cubic millimetres. For best results use a small/fine 'grind' (to increase surface area) and fill the chamber to half full. Then just turn on your Pro 3 and wait for the chamber to heat up. The Pro 3 device automatically detects the Dry Herb Cartridge and will heat up to the optimum temperature. Which Grinder Should I Use ? We stock a great range of dry herb grinders from Space Case, CaliCrusher, Sharpstone and our own top quality Vapour2 4 piece Grinder. Vaping dry herb using our heat not burn technology will not give masses of vapour. Nicotine (and active ingredients in dry herb) when vaporized are almost colourless so there is not much to see! But you will certainly taste and feel the effect of the herbs while vaping. If you would like vapour why not try dripping a few drops of zero nicotine e liquid on to the loose leaves in the cartridge to moisten them slightly. The loose leaf cartridge takes approximately 30 seconds to heat up to the optimum temperature. Fill the tank to the correct level with your favourite dry herb and vape for one cycle. You will find that with many tobacco and dry herb products you can vape through a second cycle. Some smokers vape using e liquid most of the time. Often however they find certain trigger times when for what ever reason they have a cigarette or two. Our Heat not burn vaping products fill this gap ensuring that you can get off cigarettes totally and still have your ' hit' if those trigger times occur. A full instruction leaflet is provided with the V2 PRO S3 Vape Pen. The average life expectancy of the V2 Pro Loose Leaf Cartridge is subjective to each user. There are some factors that come into play: the moisture of the dry herb in the cartridge, frequency of use, how often or not the cartridge is cleaned, general care, etc. On average, we would expect that a Loose Leaf cartridge may last for 3 to 4 months. Provided that your Loose Leaf cartridge is properly cleaned after every use it is expected that it will last several months before needing replacement. Good piece of kit. Only minus for me is amount of dry herb it can take. I have been using this product for a long time. I have tried other products but this is by far the best. The size is optimal for your pocket and being able to have extra cartridges with you make for me the best on the market. I have contacted the customer service a couple of times and they have always been very professional and helpful. Happy with product so far good battery life an real easy to use. Great bit of kit works best with a couple of drops of E liquid. Sharpstone Grinder v2.0 4 Piece 2.5"